There’s pretty much nothing better than autumn, and not just because of my birthday! 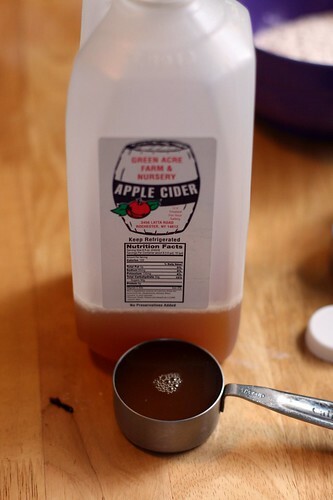 I love the cooler weather, the changing leaves, apple season and everything that goes along with apple season like apple cider, apple pie, apple sauce, and apple crisp. We went apple picking for the first time on September 25th, the day after my birthday. Our favorite apples are Jonamacs, which is a cross between a Jonathan and McIntosh. I first tried this kind of apple a couple years ago and despite never eating anything but McIntosh or Cortlands I was hooked. We picked something like 7lbs and ate them all in less than a week. 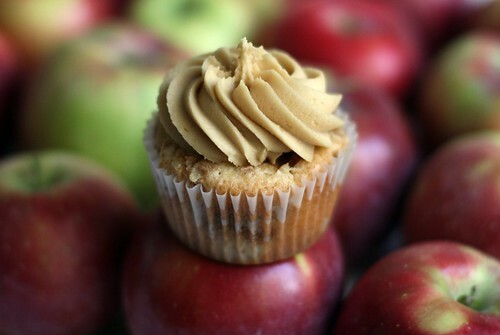 Besides regular apple crisp I decided I needed to make an apple crisp cupcake. I tried this recipe once with a Jonamac apple and it wasn’t stellar. So I got one 20oz apple which is a good baking apple, and it was much better. The original recipe calls for milk. I wanted to boost the apple flavor and between Jenna and my mom giving me the okay I substituted apple cider. The recipe is also pretty vague about the apple. It just says “one apple”. Well apples come in all sizes. The Jonamac I used the first time was pretty small. The 20oz apples are HUGE! I didn’t even use the whole apple and the cupcakes had a lot of fruit in them. 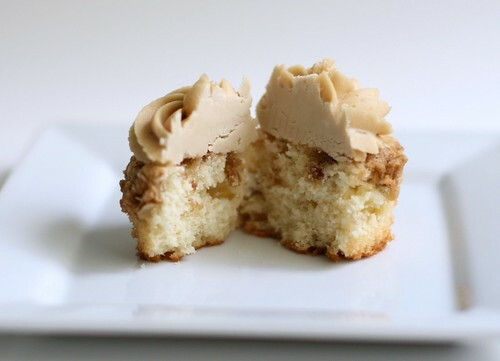 The original recipe calls for a “streusel” that goes in the middle of the cupcake. All it was, was brown sugar, cinnamon and butter. As you can imagine that just melted and made the cupcakes a hot mess. It left the cupcakes with holes in the middle and made getting the wrapper off very difficult. I decided to use my regular apple crisp topping. There isn’t so much a recipe. I used some butter and then dumped in some oatmeal, flour, brown sugar and cinnamon. It if doesn’t look right I add some more of everything (except butter). I probably should measure next time I made it! I made sure to really press the topping into the cupcakes because I didn’t want it to all fall off as the cupcakes rose. In a small bowl, mix together flour, baking powder and salt. In large bowl, whisk together sugar, butter, eggs and vanilla until smooth. Alternately whisk in flour mixture and milk, making 3 additions of flour and 2 of milk, beating until smooth. 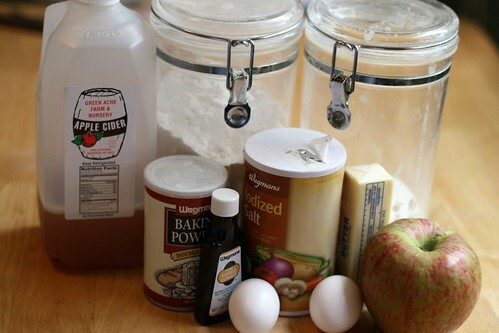 Stir in apples. Fill lined cupcake tin about 2/3 of the way full. Combined butter, oatmeal, brown sugar and cinnamon. Using your fingers blend the butter mixture until it forms pea size lumps. 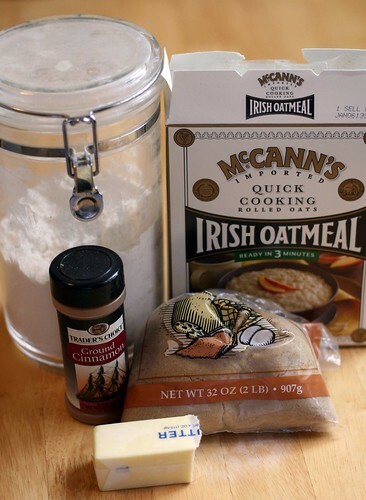 If it’s too sticky add more oatmeal, flour and sugar. Distribute evenly among cupcakes, making sure to press the topping into the batter. Bake at 350 for 20-25 minutes. 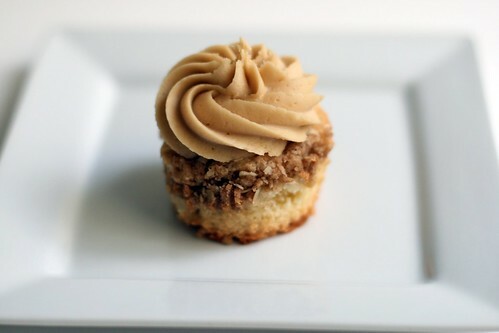 Adapted from the apple crisp cupcake recipe from 125 Best Cupcakes cookbook. Sift powdered sugar into a mixing bowl; set aside. In a heavy bottomed saucepan, combine the butter and brown sugar and stir over medium low heat until blended. Stir in the cream and bring mixture up to a full rolling boil. Immediately remove from the heat and add the vanilla extract and blend. Set aside to cool until lukewarm. When ready to frost the cake, add the mixture to the mixing bowl with the sifted powdered sugar and beat on high until creamy and spreadable. If icing begins to harden, beat in, literally only a drop or two of cream at a time, by hand to loosen it. Don’t add too much, just a drop until it’s spreadable again. I have been wanting to make these cupcakes for a long time. Last summer when I was pregnant I could not get enough root beer floats. I loved them. And I’m pretty sure the number I had BEFORE last year could be counted on one hand. Naturally I wanted to do a cupcake version! 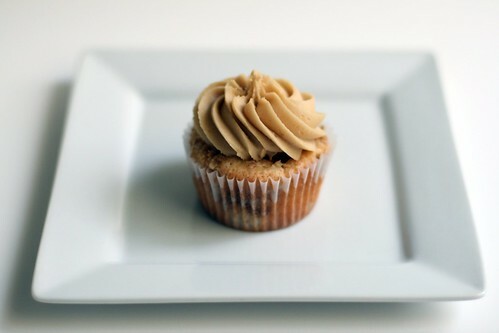 I saw this picture on flickr and the photographer was nice enough to link me to the recipe she used. I had trouble finding several ingredients that I needed. 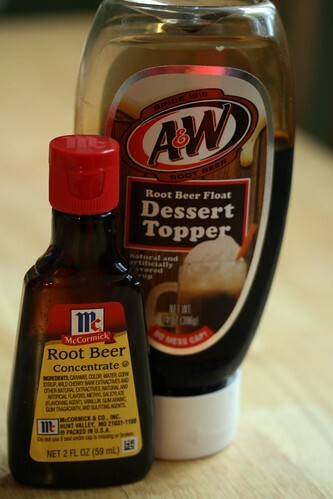 The root beer syrup (or dessert topper) my brother had at his house and I asked where he got it. He found it at this weird they-have-everything close out type store in Windsor, VT. It’s called Mr. G’s. Sometimes they have perfectly find stuff, sometimes they have expired mustard. I didn’t get a chance to go there when I was in Vermont in July so I asked my father to stop by for me and sure enough they still had some. And it’s not expired! My mom brought it to me in August. The root beer concentrate I finally found at Walmart per several people’s suggestions. My fancy pants grocery store carries tons of extracts and whatnot but not root beer. The natural foods store in my area had sarsaparilla but not root beer. Finally hit Walmart and sure enough, they had it. The other ingredient I had trouble finding was affordable vanilla beans. I was not about to spend $10 on two vanilla beans but finally I found some in an international aisle! I’ll be honest, I wasn’t blown away by the flavor of the vanilla bean buttercream. Maybe it was an issue of quality. But it didn’t taste very vanilla-y. I used a lot of just regular vanilla extract. However it definitely gives an ice cream appearance to the buttercream! I made two different buttercreams; a root beer buttercream where instead of using vanilla I used a combination of root beer syrup and root beer extract and then the vanilla bean butter cream. 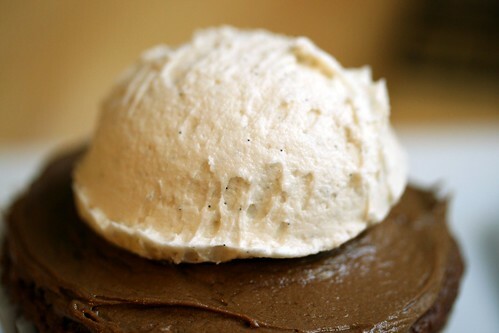 Root beer buttercream goes on first and then a scoop of the vanilla bean buttercream. By the time I got to frosting the cupcakes my 8 month old was crying from pinching his fingers in the garbage can so I have no pictures of me frosting them. But I used a 3TB cookie scoop to scoop the vanilla bean butter cream “ice cream” on top. Then I used a Pepperidge Farm pirouette as an edible straw. Preheat oven to 350F. 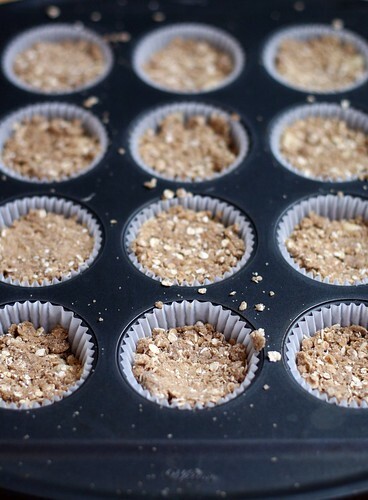 Line a 12 cup muffin tin with paper liners. In a large bowl, cream together butter and brown sugar until light. Beat in egg and vanilla extract. Add in one third of the flour mixture, followed by the root beer syrup. Mix in another 1/3 of the flour mixture, followed by the milk. Stir in all remaining flour and mix just until no streaks of dry ingredients remain. 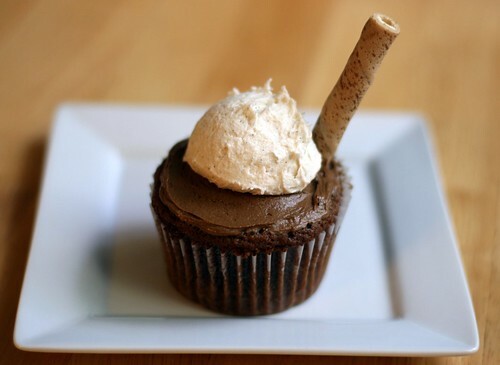 Bake for 16-18 minutes, until a toothpick inserted into the center of the cupcakes comes out clean. Cool cupcakes completely on a wire rack. Beat together sugar and butter until they are blended and creamy. Add root beer concentrate and milk and continue to beat until blended. 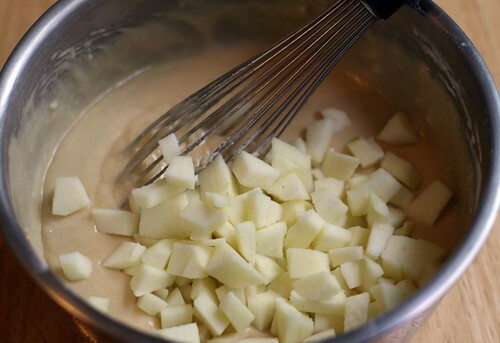 Beat together sugar and butter until they are blended and creamy. Add vanilla bean seeds and milk and continue to beat until blended.